Sports Afield has assembled a complete history of the publication. This book features more than 400 covers from the magazine's beginnings all the way to the present. Many of these digitally restored covers depict colorful and dramatic action scenes. For many decades, each issue featured a cover painting specifically commissioned for the magazine. With vibrant color illustrations of leaping tigers and striped bass, charging buffaloes, and life-and-death-hang-on-by-your-nails hunting scenarios, these covers are a feast for the eyes. In 1887 Mr. Claude King started Sports Afield magazine in Denver, Colorado. Initially conceived as a magazine for those who lived in the rural West, Sports Afield quickly became the leading periodical for hunters and fishermen around the country. From its small beginnings, the magazine grew quickly, its growth paralleling the emergence of America as an industrialized giant. In the years following World War II, well over a million readers avidly read each new monthly edition of this magazine. Today the early editions are very much sought-after by collectors of Americana and can bring thousands of dollars when they come up for auction. Now, just in time for the magazine's 130th anniversary, the staff of Sports Afield has assembled a complete history of the publication. This book features more than 400 covers from the magazine's beginnings all the way to the present. Many of these digitally restored covers depict colorful and dramatic action scenes. For many decades, each issue featured a cover painting specifically commissioned for the magazine. With vibrant color illustrations of leaping tigers and striped bass, charging buffaloes, and life-and-death-hang-on-by-your-nails hunting scenarios, these covers are a feast for the eyes. A historical overview of the magazine on a decade-by-decade basis and period articles from each era complement the covers displayed in this book and give readers a glimpse of the sporting life in America through the years. 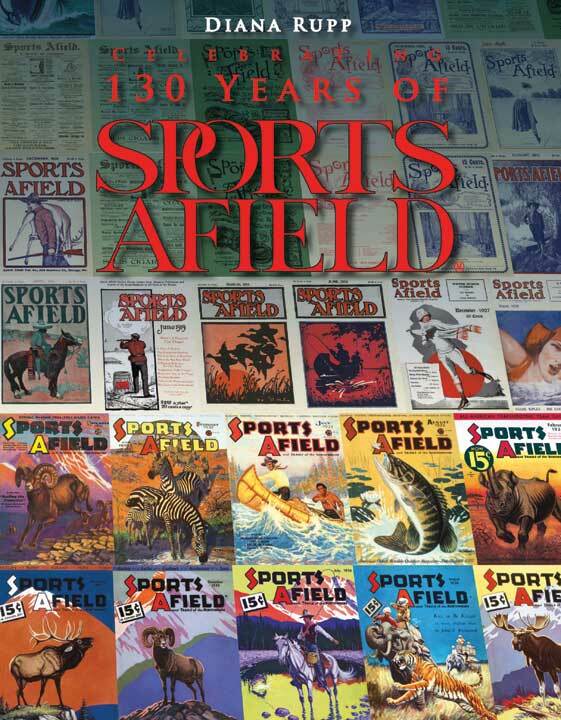 There has never been a magazine like Sports Afield, and the greatest outdoor writers in history have graced its pages, including Russell Annabel, Jimmy Robinson, Jack O'Connor, Zane Grey, Elmer Keith, Col. Townsend Whelen, and many more. Sure to become a collector's item, this book is a fond look back at the past and a celebration of the future for a magazine that remains a strong and successful advocate for conservation, hunting, and the great outdoors. Submit your review for "Celebrating 130 years of Sports Afield (Signed by Author)"